 Be capable of delivering excellent results while working under pressure with tight deadlines. Responsible for all Company Financial, Administrative and Projects Audit in collaboration with the Office of the Auditor Controller General to ensure Company Compliance with the Government established Corporate Governance Rules and Regulations. Planning and executing assurance and consulting audit engagements on Projects Management, Financial, Compliance, Information System, Technical, Operational audit and any required special investigation resulting in improved controls and operating efficiencies. Designing and completing risk based Annual Internal Audit Plan and develop an engagement work/audit program that effectively assess the organisation’s control environment. Carry out periodical inspection/checks of the physical assets and inventories of theorganisation to ensure that they are properly utilized, maintained, safeguarded and adequately controlled. 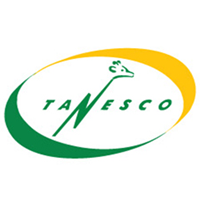 Preparing and finalizing written Audit Reports for review by TANESCO Head of Internal Audit Unit for inclusion in periodic reporting to the Audit Committee of the Board andExecutive Director / Management. Where applicable, managing and developing staff throughout the course of assurance and consulting engagements. Perform other duties and special projects/audits as required by the Executive Managementand the Audit C ommittee of the Board of Directors from time to time. Experience of not less than 3(three) years of working with/in a renowned Public or International Audit Firms. REGENT ESTATE, URSINO HOUSE 21 – MWAI KIBAKI ROAD.